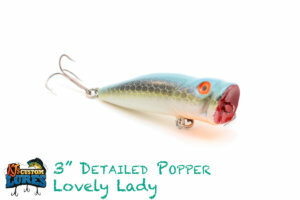 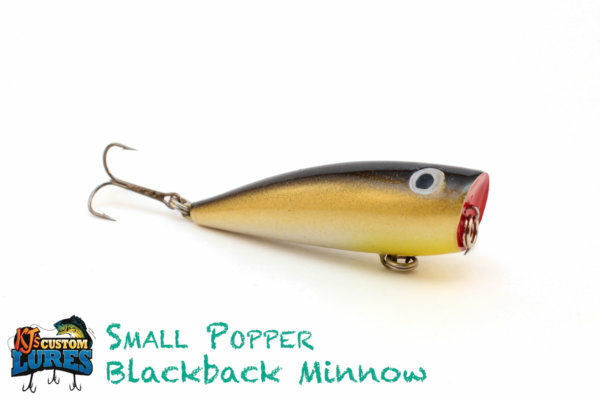 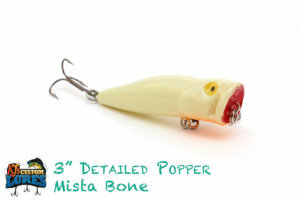 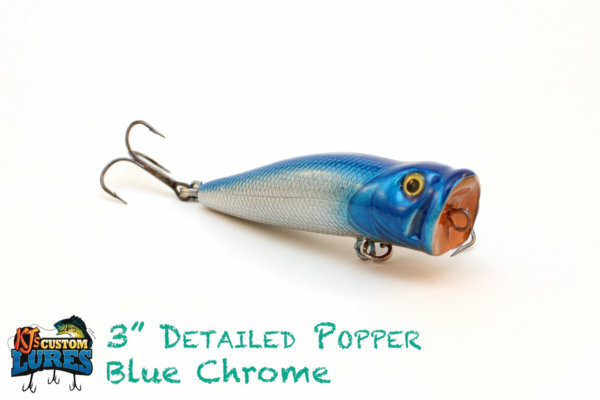 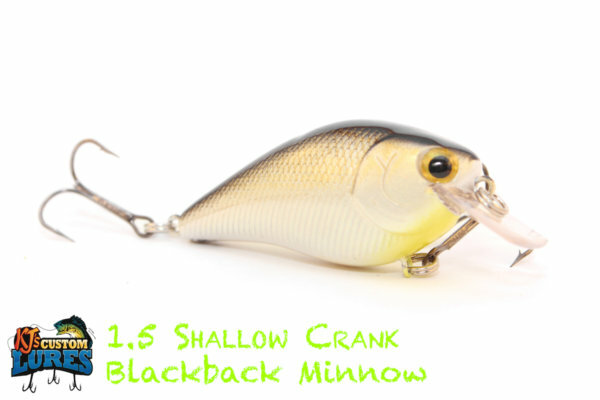 This is a 3” popper topwater bait that has a great amount of detail in the body. 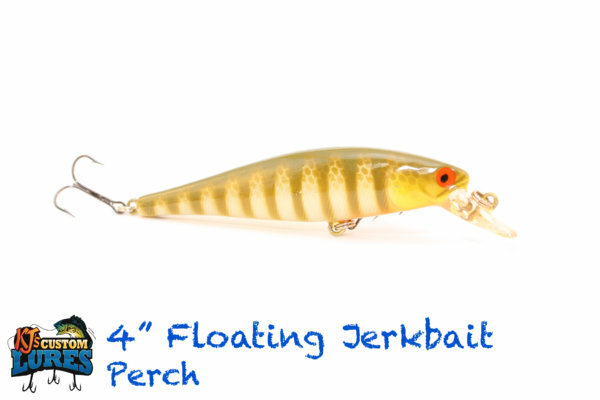 A very realistic look for predator fish looking up at it. Suited up with #4 Mustad Triple Grip treble hooks, this shad imitation is perfect for the surface! 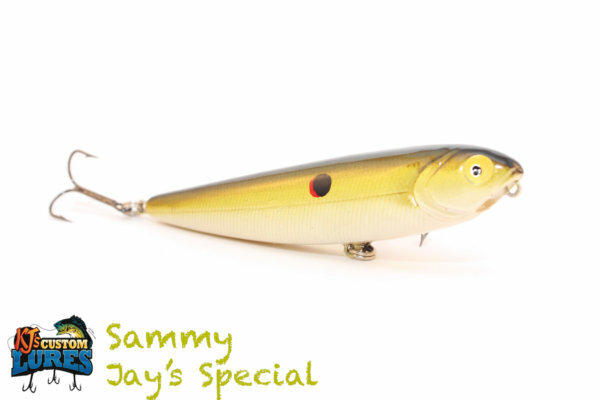 Largemouth Bass, Smallmouth Bass, Spotted Bass, Sand Bass, Hybrid Striped Bass, and Stripers. 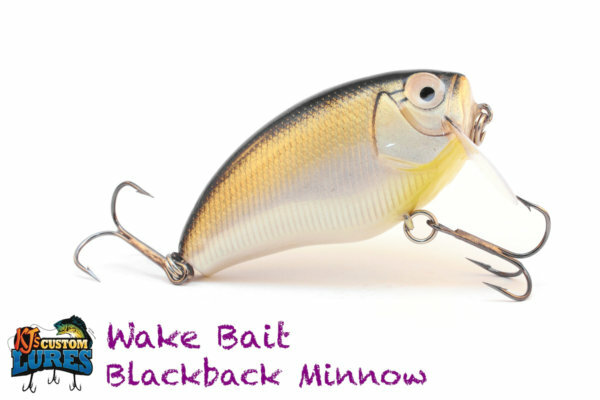 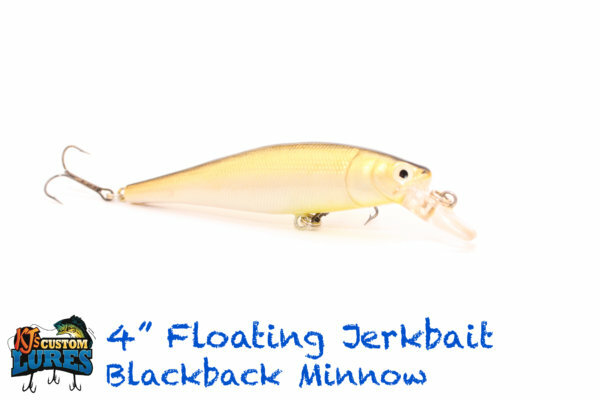 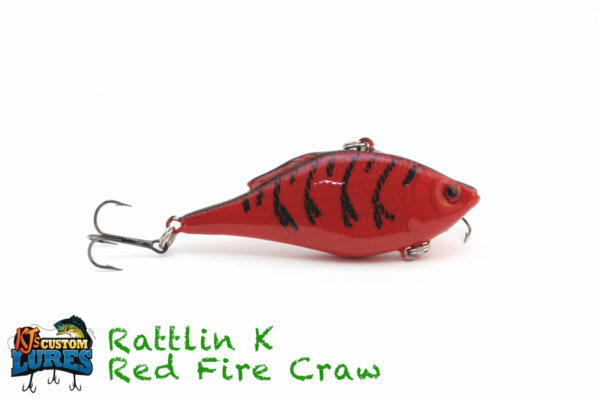 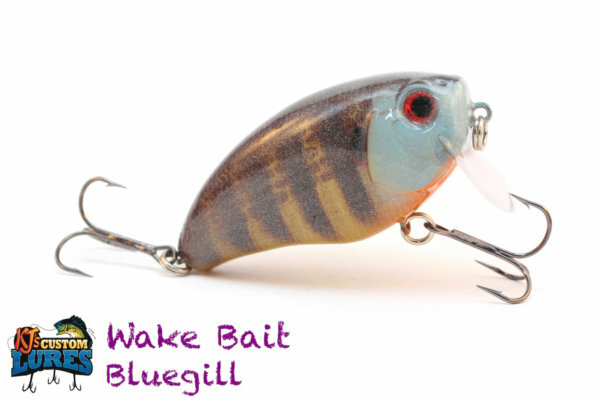 This lure is designed exclusively for topwater action. Open water where fish might be schooling, and around points and structure. 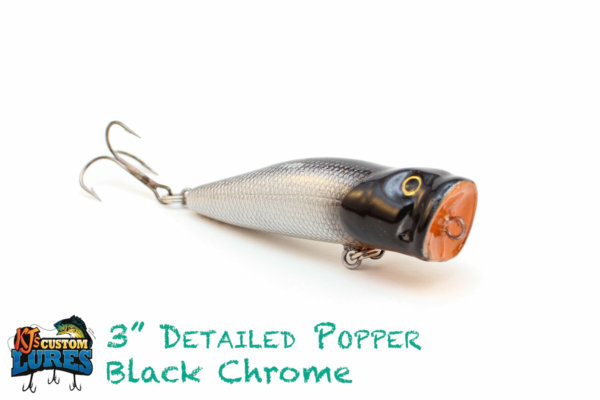 Great for water in the 58-60 degree mark and good for all the way through summer time and into fall, where the water will get back down to 58-60. 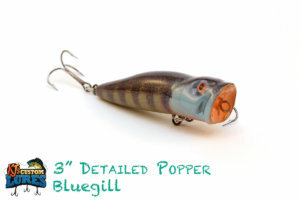 Any colder, and I’d avoid it, as most fish are simply too lethargic for a consistent bite. 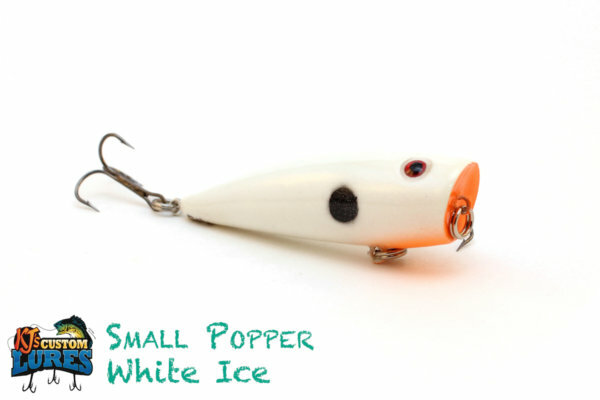 When the water is cooler, around 58 degrees, you should use a pop, pause, pop action, and remember the length of the pause is critical for the bite during these times. As the water warms up, you can use a more rapid pop, pop, pop, with a more consistent retrieve. 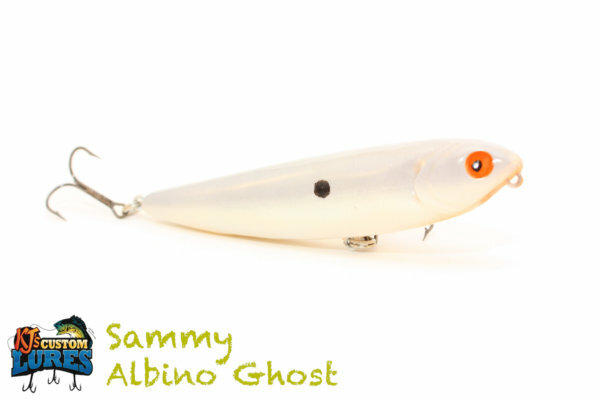 Using a loop knot helps with the action of the lure being more natural, allowing for free movement of the lure from the line.